HELLO HANDSOME: The Strom doesn’t suffer from the rather bland looks of its forebear. 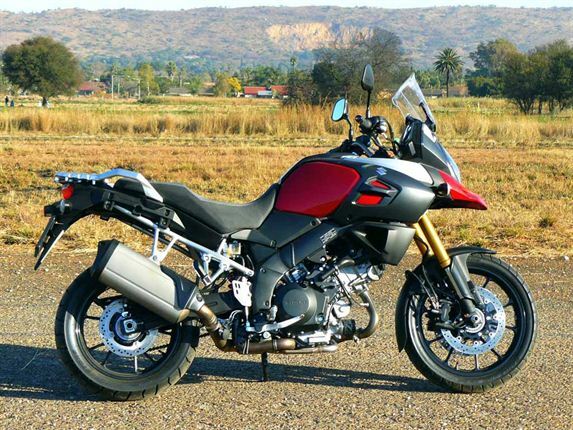 PAYING HOMAGE: Rear-aspect view clearly shows how close the overall looks have come to BMW’s GS range. 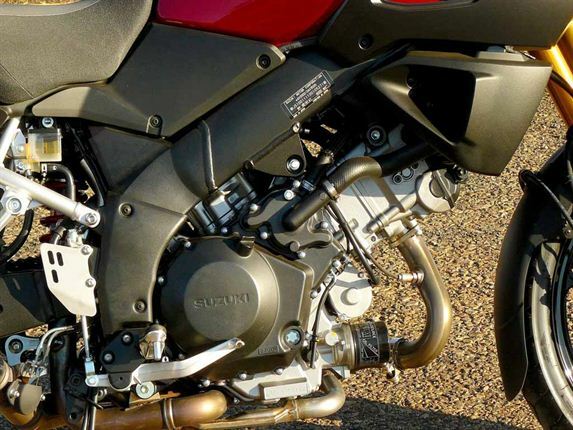 HANGING OUT THERE: The V-twin mill is essentially a new engine making oodles of low-range torque. OVER-EXPOSURE: The radiator shrouds like the oil filter in the previous image could be vulnerable on rough terrain. 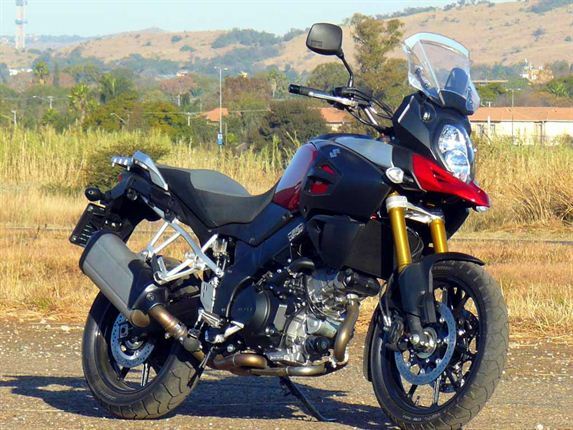 IT’S A FRAME-UP: The exposed sub-frame and chunky exhaust adds to the Strom’s more rugged looks. 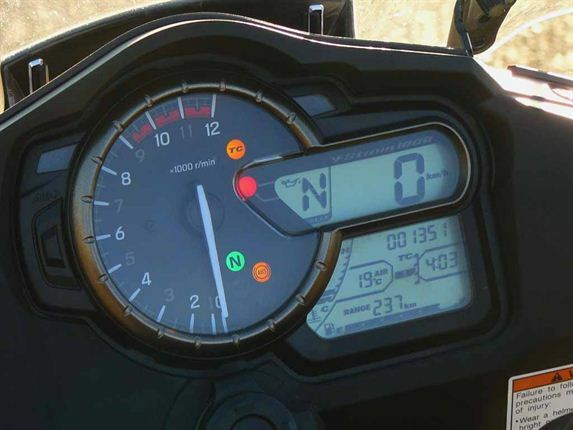 BE IT HEREBY KNOWN: The instrument cluster is comprehensive and the auxiliary power outlet is a boon for GPS-toting riders. 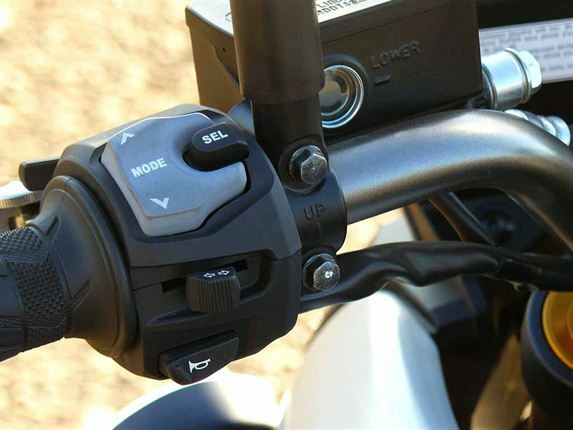 COMMAND AND CONQUER: The selector for the various on board functions are big enough to be easily operated even with winter gloves. 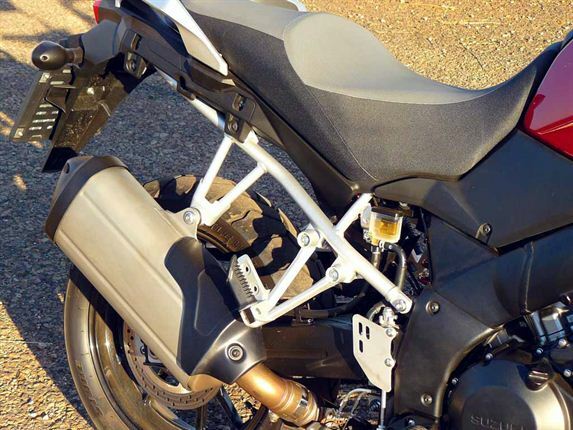 WOLF IN WOLF’S CLOTHING: The adventure-bike looks gives little clues to the Strom’s grin-inducing competence in the twisty bends.